Most people suffer from headaches from time to time. 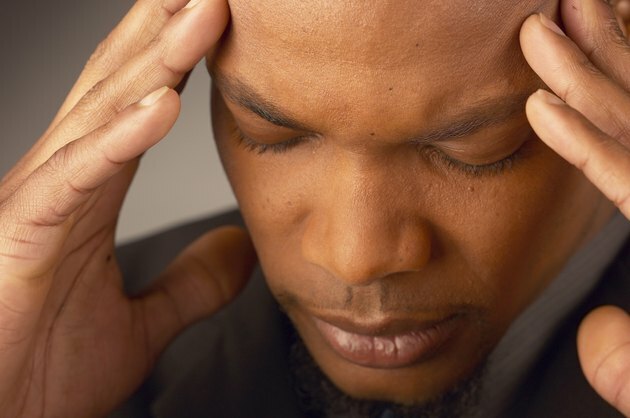 Although not usually harmful, headaches are, nevertheless, annoying and at times highly painful. They may be triggered by a number of factors including alcohol, caffeine, hormonal fluctuations, stress, noise and light. Headaches usually respond well to over-the-counter painkillers such as ibuprofen or aspirin, and rest. Rather than triggering a headache, magnesium is sometimes used to help prevent headaches, particularly migraine-type headaches. Get medical clearance before taking magnesium supplements. Magnesium is a mineral that plays a vital role in several physiologic processes including energy production, immunity and nerve function. It also helps to regulate blood pressure and is sometimes used to help treat diabetes, cardiovascular disease and osteoporosis.The University of Maryland Medical Center notes that people who suffer from migraine-type headaches often have lower levels of magnesium than those who don't get headaches. Magnesium might also help to reduce headache frequency. An article published in the March 2011 issue of "Headache" notes there is a growing body of evidence to support the use of magnesium as a treatment for headache disorders. Most studies have evaluated the effects of magnesium on migraine-type headaches, rather than general tension-type headaches. However, the results of a study published in the June 2007 issue of "Neurological Sciences" show that magnesium reduced the number of headache days by 69.9 percent in children and and adolescents with tension-type headache. Dietary sources of magnesium include brown rice, lentils, peanut butter, kidney beans, spinach, oatmeal and halibut. It is also available as a dietary supplement. According to the University of Maryland Medical Center, 200 mg to 600 mg daily is sometimes used to help prevent migraine headaches. Since this is a general guideline, consult your doctor before using this dosage and read the supplement label carefully. Do not take more than 350 mg of magnesium daily -- which is the tolerable upper intake level for adults -- unless your doctor tells you to. Taking large doses of magnesium may cause side effects including abdominal cramping and diarrhea, and may cause magnesium toxicity, symptoms of which include appetite loss, muscle weakness, very low blood pressure and irregular heartbeat. The Office of Dietary Supplements notes that magnesium may interact with, or heighten the effect of, other medicines, including antibiotics and thiazide diuretics.